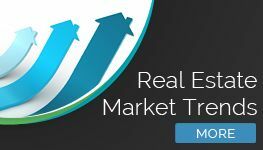 (SanDiegoRealEstateBuzz) – The Federal Reserve Bank has increased a key benchmark rate again, for the third time since 2015. The rate increase is in the range of .75 percent to 1 percent. It's a move that was widely expected as the bank moves beyond its economic stimulus efforts that have spanned more than nine years. The organization plans to increase rates very slowly to help to continue to spur economic improvement and not damage the improving housing market across the country. For many investors, the increase is seen as highly desirable. And, for those investing in home loans, it's viewed with skepticism. Will this make mortgages, especially in the San Diego area, too expensive for home buyers to take on? San Diego's real estate market is one of the most valuable in the state and country as a whole. 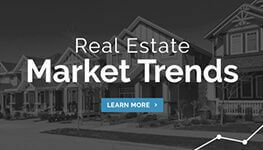 The area has seen a 9 percent increase in median sales prices from 2016 to 2017, in the three months ending March 22nd. The median sales price of a home as of the middle of March 2017 was $519,000, with an average price per square foot of $394. 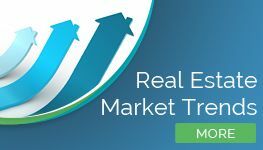 With a strong and rapidly growing housing market, the increase in this key interest rate will likely have an impact on the San Diego market. But, what's likely to happen? While many elements are in play, experts say that the increase could offer a number of changes to the market overall. Here are some likely occurrences. It's time to buy. Increasing interest rates means that the longer a person waits to buy a home, the more they will pay to do so. These rate increases will happen throughout the year, making buying a home sooner more affordable than waiting. If you've been on the fence about buying, now is the time to do so. Lenders will lend. When interest rates are higher, lenders want to take advantage of these higher profit potentials. Many may reduce lending restrictions currently in place to lend to more people. In San Diego, where first-time home buyers have to have a significant down payment and solid credit history, this can be a very good thing. Getting into a new home – especially a first home – may be easier to do. Loan rates will inch up. It's a misconception that mortgage rates will drastically increase due to these actions. In fact, the initial reaction may not be to raise rates at all. This means home loans remain affordable with low-interest rates. The bottom line is that buyers should be more motivated to buy now rather than wait and that, even in the increasing San Diego real estate market, it's still affordable to do so. Home values are on the rise. Interest rates will inch up in the coming months. That means buying now assures the lowest possible price on any home purchase. For sellers, this may mean more demand for the homes and a spike of buyers now, not down the road. While this interest rate increase will impact the market, it's likely to spur further growth.